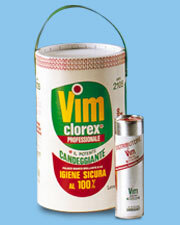 Vim sanitize better then Emacs? I am still searching a good general purpose editor. On my day by day job, eclispe is my food. some time to be masochistic. Some guys smoke, others use vim. It perfectlys fit in your auto-destruction instinct. The documentation is a little better then emacs: it is simpler to read and has a bit more example. Generally speaking, documentation is quite compact and very accurate. It is quite simple to program vim: the scripting language is functional oriented, strictly typed and easy. EmacsLisp is cool but too complex for casual user. Plugin mechanics is clean and fair. Languages like Perl, Python and Ruby are supported in a simpler way then Emacs. Emacs has emacs-lisp and no simple backend. GVim server activation is a bit simpler them the emacs server. Symbol convention is a good thing but criptic. ! * and so on are nice character, but makes no sense if you actually do not understand the cryptic “Vim symbolic religion”. vi seems written by a piano-programmer who failed to get into a good Music School. The Command and Visual Mode are a bad thing if usability is a concern. Try to open a document inside vim and write your name: you will likely destroy your document if your name do not start with an “i” letter. Vi: I am your Father, Stallman!